Valley Arts VT’s mission is to support the multiple interests of the Mad River Valley by encouraging and promoting participation in the arts. The organization produces exhibits at the Festival Gallery at #2 Village Square in Waitsfield and other venues. 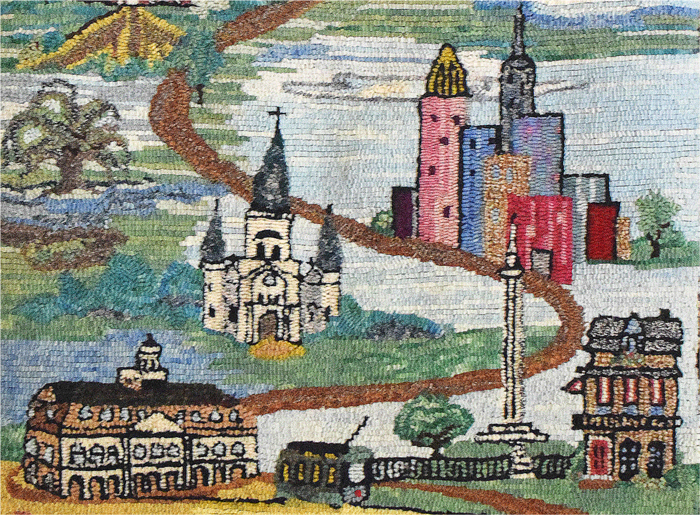 Considered both a craft and an art form, rug hooking with its variety of colors and textures appeals to both young and old alike. Numerous styles and techniques will be on display at this exhibition by the Mad River Hookers. 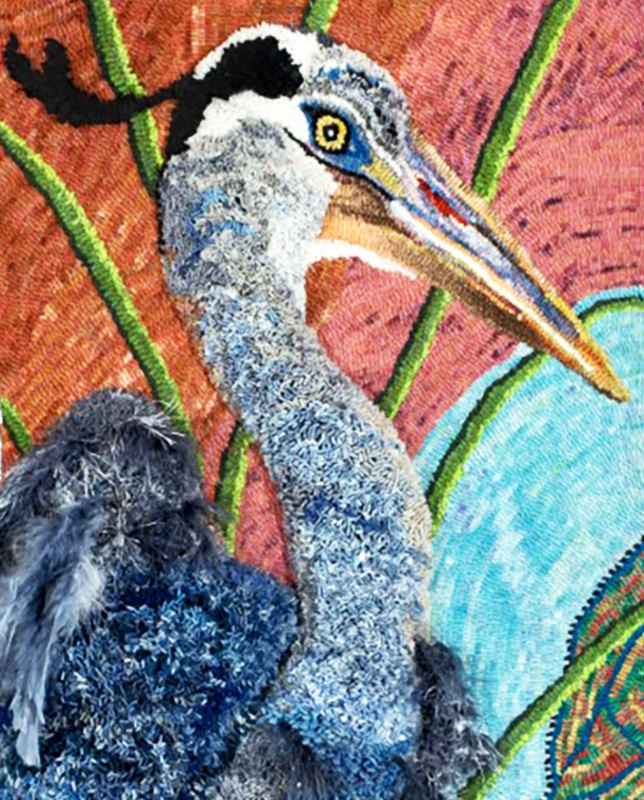 Image: Bucky the Blue Heron (detail) by Sandra Grant. Courtesy Valley Arts Festival. Figurative and portrait artist August Burns lives in Middlesex. She received her training in the foundation of painting as a teenager when she studied with artist Charles Nevad. She continued her studies through classes at the Art Students League, Grand Central Academy and Studio Incamminati. 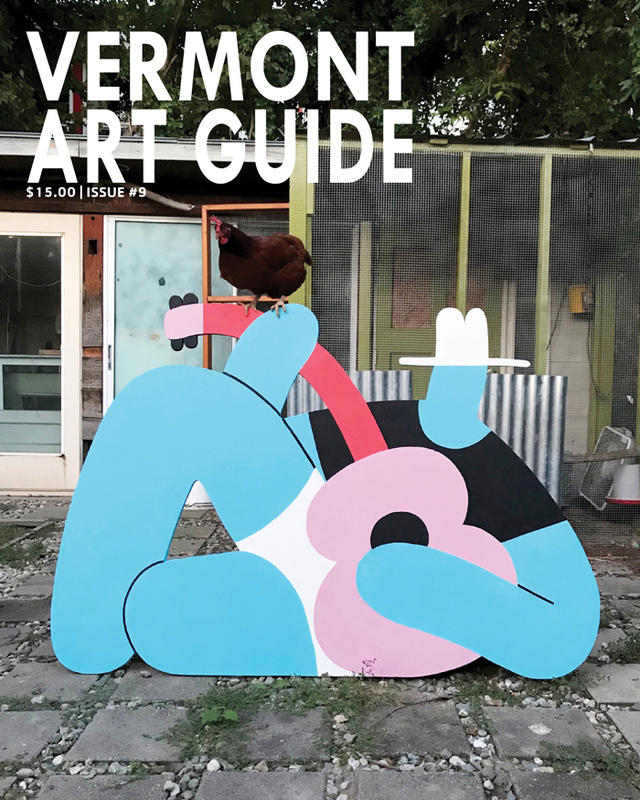 She received the commission to paint the official portrait of Vermont Governor Peter Shumlin. Burns’ work has been exhibited extensively in Vermont and New York and she is the recipient of many awards. 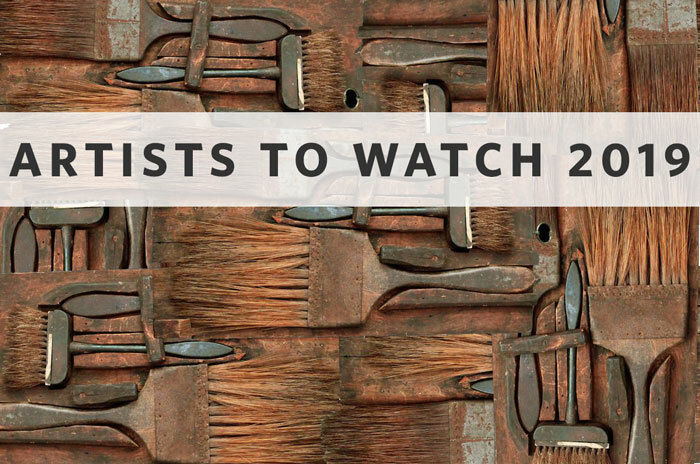 Among her many professional affiliations, she is a juried member of the Salamagundi Art Club and the National Association of Women Artists and a Juried Associate Member of the Catharine Lorillard Wolfe Art Club. Visit www.augustburns.com to learn more. image: Frida Wears White by August Burns. Courtesy of the artist. “The Wind Needs No Invitation” is an exhibition of work in a non-objective, expressionist style where dynamic color, strong shapes, rich textures, and strong design replace representational images. 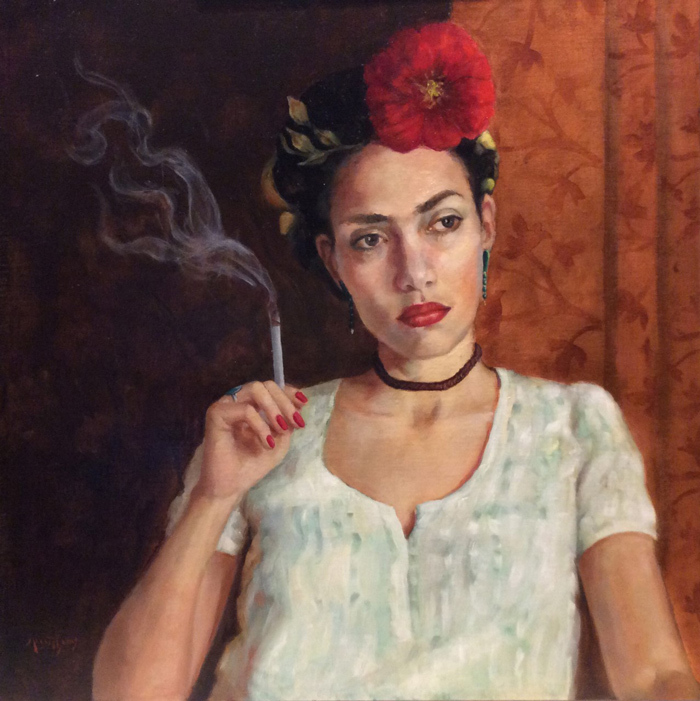 Deanna Chilian was born in New Jersey and now lives and works in Asheville, North Carolina. In addition to being a painter, Chilian has also practiced law and had a career teaching Pilates and Gyrotonic. 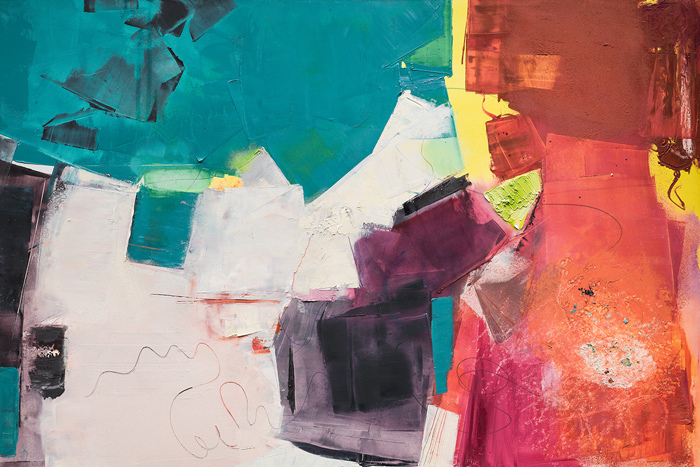 Her inspirations include early O’Keeffe, Helen Frankenthaler, Joan Mitchell, Richard Diebenkorn, and Matisse. She loves the work of Brian Rutenberg and Wolf Kahn. Her art education has been through mentorship. She studies and workshops with Catherine Chang-Liu, Gwen Fox, and Skip Lawrence. Learn more at her website, www.deannachilianfineart.com. Valley Arts’ retrospective celebrates Judy Dodds’ 60+ year creative career with work in a variety of media. The pieces tell the story of Dodds’ creative, colorful and beautiful life well-lived. Dodds’ textile creations in the show include pieces with hand-dyed and woven fabric, appliqued and quilted wall hangings, and more recent works of hooked rugs. Her fabric landscapes and still lifes often mimic stained glass, and she devised a special technique to create her “windowscapes” in which she layers the fabric then cuts away the backing to leave a translucent piece.Judy has won numerous awards and honors for her work. Dodds began creating hooked rugs in the late 1990s, after seeing an exhibition at the Round Barn in Waitsfield. She was also fascinated by the local artists and their stories. In 2007, the 60-minute video, The Heart of Hooking, that she and husband Jim made, tells the stories of rug hooking artists, won the Vermont Historical Society award for excellence. From 1979 until 2003, Judy Dodds owned a gallery called Tulip Tree Crafts in the space now occupied by Valley Arts’ Festival Gallery. 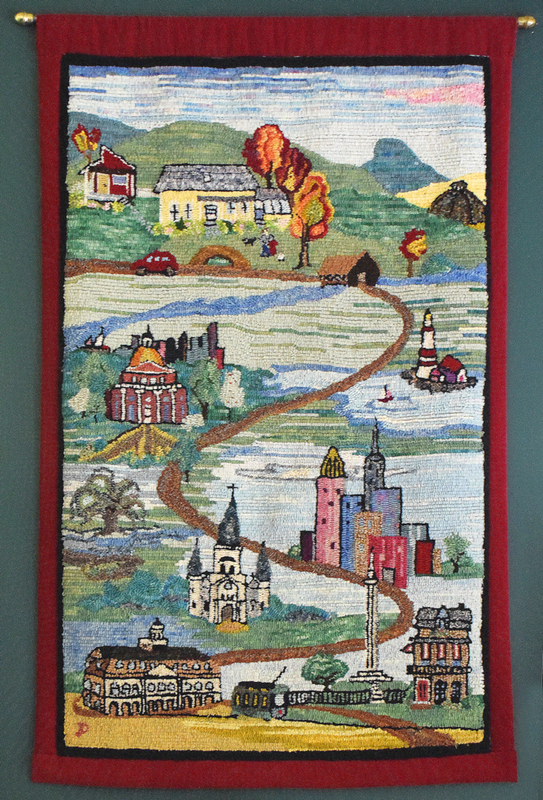 Her winding path to Vermont is depicted in her hooked rug My Life Story: She was born in New Orleans, and studied art at Tulane University there; she then moved to New York, then Cambridge, Massachusetts, where she worked as the curator at the Boston Children’s Museum after the end of her first marriage. 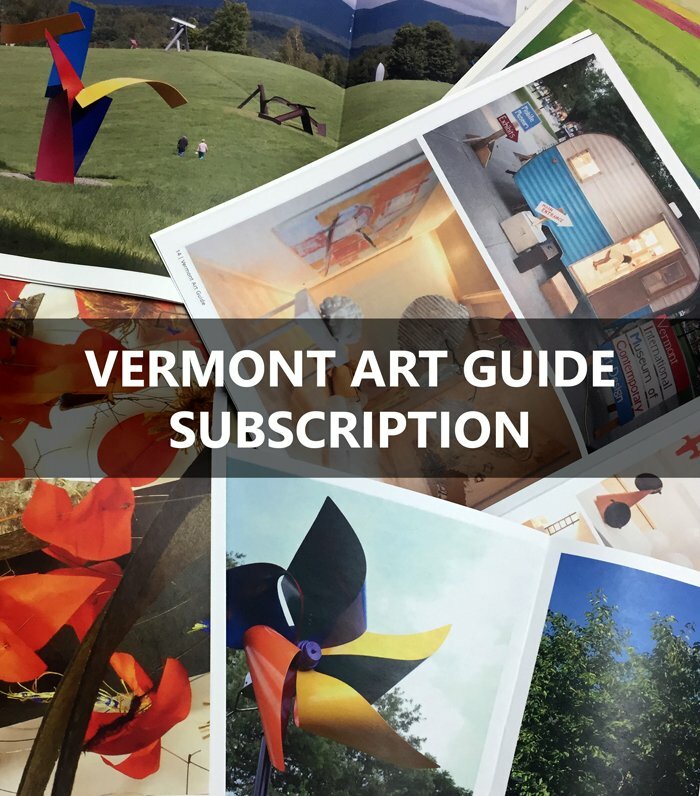 Her connection to Vermont began in the 1960s, when she spent summers in the Mad River Valley with her first husband, sculptor Jean Seidenberg. Preferring the natural beauty and openness of the Mad River Valley, she bought a house in Waitsfield in 1970 with her husband, Jim Dodds, and moved with her children to the Mad River Valley. Judy opened Tulip Tree Crafts in 1979, where she sold her work and that of other Vermont artisans. When she sold Tulip Tree Crafts, she turned her attention to rug hooking projects and starting a rug hooking group in which she is still active. Dodds is now 88 years old.